The tradition of ice skating out-of-doors in the Klamath Basin began in the early 1900s when the city created a community ice rink near Moore Park along the south shore of Upper Klamath Lake. This natural sheet of ice was a popular winter recreation site. However, in the 1970s, due to changing climate and city budget constraints, the rink was forced to close. In the 1990's, Bill Collier, a local retiree and former hockey player, began to personally renovate the historic site. He spent cold winter nights and early mornings spraying the dirt patch with water from a fire hose to create the sheet of ice. The Basin’s constantly changing weather made it almost impossible to maintain a consistent sheet of ice and it soon became evident that a refrigerated, covered ice rink was needed. 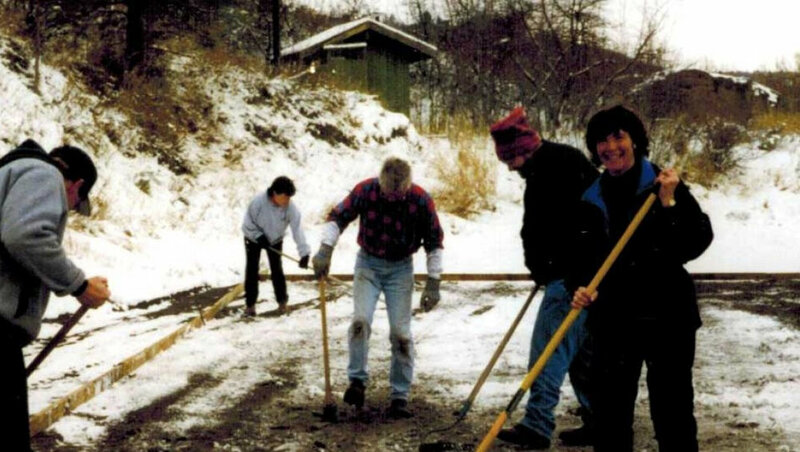 Bill’s dedication and commitment inspired other volunteers to help with the project and, in 1999, Klamath Ice Sports, a grassroots, non-for-profit organization, was formed and began raising funds and generating widespread enthusiasm for a new ice skating facility. Located just inside the entrance to the Running Y Ranch Resort, off Highway 140 West, the Bill Collier Community Ice Arena opened in January of 2002. 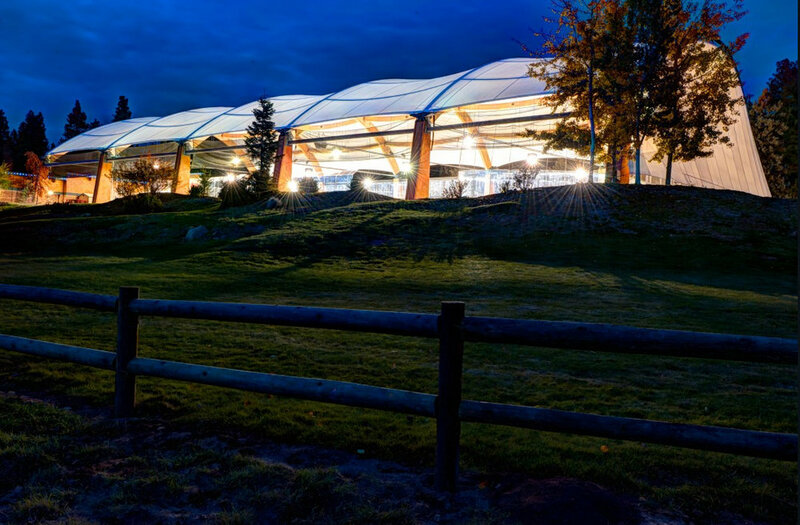 The facility has a 200′ x 85′ refrigerated ice sheet and is protected from the weather by a tensile fabric, pavilion-style roof that provides an outstanding view of the surrounding countryside, continuing the long tradition of outdoor skating in the Klamath Basin. During its five month long season, the ice arena offers a wide variety of ice skating opportunities to both residents of and visitors to our area. Klamath Ice Sports depends upon both individual and corporate contributions to support its programs, its endowment fund, and the athletic scholarships that are made available to young skaters. Basin Adventures is brought to you by the Klamath Falls KOA. Centrally located in Klamath Falls, the Klamath Falls KOA is the perfect jump-off point to visit all the spectacular recreation sites of the Klamath Basin – Crater Lake National Park, Lava Beds National Monument, wildlife refuges, hiking, biking, fishing and so much more. Visit http://koa.com/campgrounds/klamath/ for more details and to book your next adventure base camp.